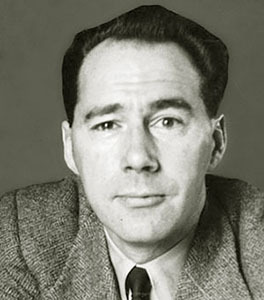 In case you’re interested the ABC has posted audio of my Bookshow interview about John Wyndham’s “new” novel, Plan for Chaos. As I say in the interview (and indeed in my post a while back) I don’t think the book’s much chop, but it’s not without interest, not least because of the way it prefigures many of the themes and ideas that animate Wyndham’s later work, and in particular The Day of the Triffids. And I know I’ve mentioned it before, but if you have a moment do take the time to read David Ketterer’s fascinating introduction to the Liverpool University Press edition of the novel: I’m not sure I accept his larger thesis that Wyndham intended Plan for Chaos and The Day of the Triffids to be the first two parts in an uncompleted trilogy of novels, but the article offers a rich and fascinating portrait not just of the intensely private Wyndham’s personal life, but of the connections between that life and the larger world of his fiction, and is well worth reading in its own right. The audio of the interview is available on the ABC website. You might also want to check out my article in The Australian about Wyndham from a few weeks back or my post about The Day of the Triffids and the differences between British and American visions of the apocalypse (which also appears in Miscellaneous Voices 1: Australian Blog Writing).